Hooray! 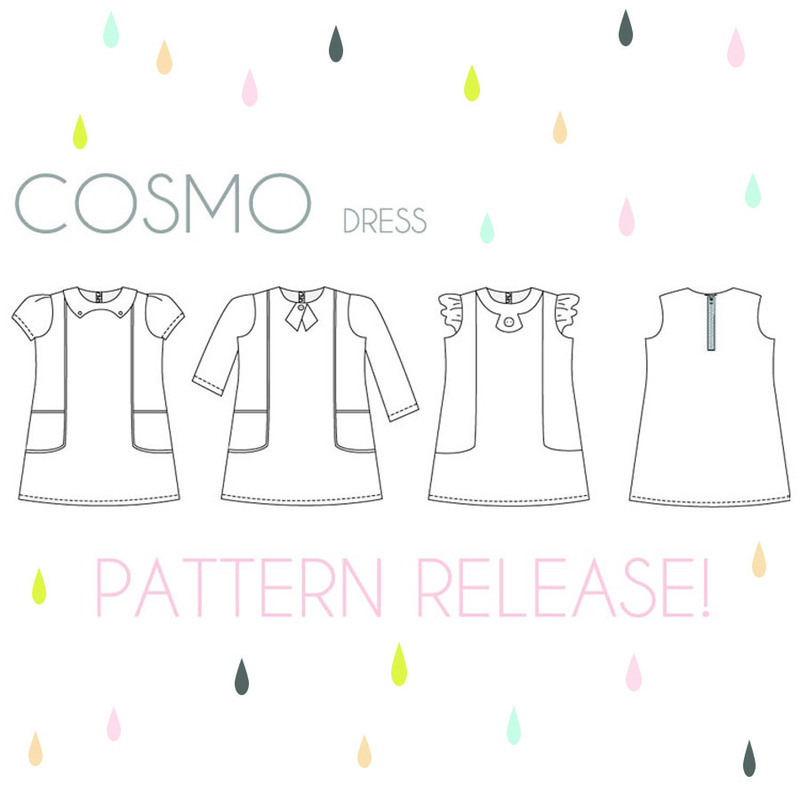 Today I am very happy to release the Cosmo dress pattern! You can receive a 10% discount until Wednesday with the code: COSMORELEASE. Apply at checkout. Head over to the sewpony shop to find the Cosmo pattern! You can read all the details about the pattern there. The Cosmo dress is a semi-fitted A-line silhouette with a pieced front and side pockets. The front dress seams and pockets can be piped or left plain. Three different collar options can be added at the neckline. The dress closes with an exposed zipper at the back, which gives the dress a modern edge. The dress is unlined, but rather finished with facings. The dress can be made sleeveless, with pleated short sleeves, flutter sleeves or plain three quarter or long sleeves, making the dress wearable in any weather. The Cosmo dress also lends itself to some creative colour blocking! A fun and rewarding sew, you will love making your own Cosmo dress! 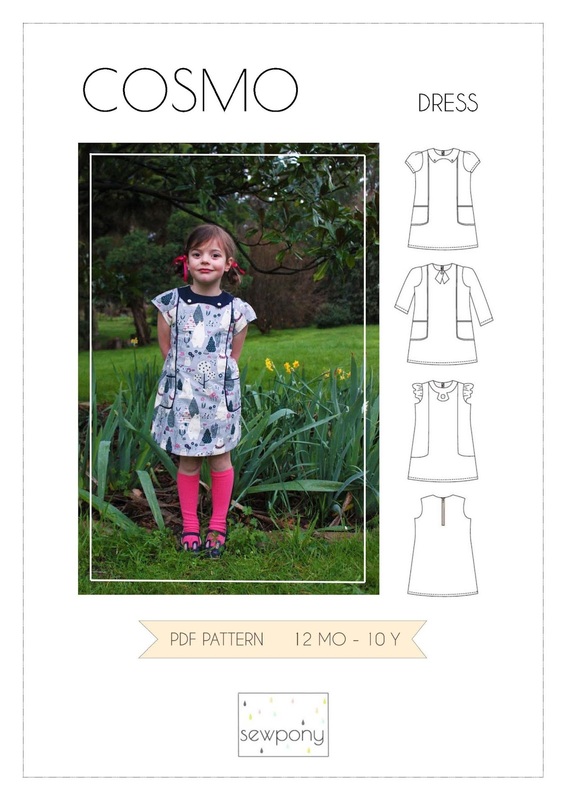 An A0 shop print file if you are not a fan of taping! The Cosmo dress pattern features an exposed zip at the back. I love this look and it is very easy to achieve! My instructions take you step by step through the process, but if you are still needing some extra help, I have created my first sewing video to help you!! (A big thank you to my little bro for helping with this!). You can view the video below! A link to the video is also included in the pattern. Since making the video, the addition of a zip guard has been added to the pattern tutorial to protect the skin from the exposed zip. This is optional but also a lovely detail. A big thank you goes to my wonderful testers! Thank you Celine, Cristina, Deborah, Dusty, Evi, Kate, Laney, Lies, Lindsay, Lucy, Kate, Mia, Qwinta, Stefanie, Tenille, Tresors, Stefanie, Valeria and Yaarit. A big thank you also goes to Marjolein from Flaflinko who assisted me with testing and also photographing the sleeveless and flutter sleeve construction steps and sewing. Thankyou also to Mie from Sewing Like Mad for her guidance with the zip guard installation. 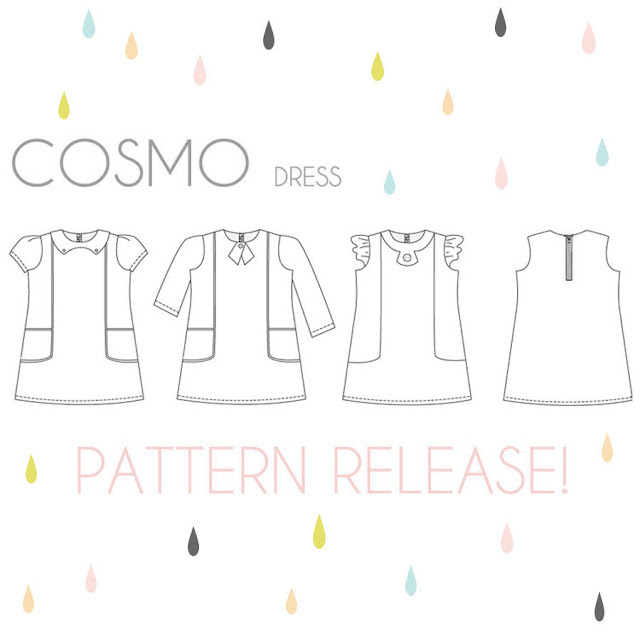 Please search #cosmodresspattern on IG to see all the lovely versions made by my testers and to share your own photos!